Find products from some of my favorite retailers. On this page, you can find something for everyone whether it’s furniture for your home or office, gifts, or if you’re looking for design ideas…you’ll find them here, too. If you live in a small space, these are excellent resources. But they’re all wonderful resources. The beauty of this is that you can shop 24/7. Online shops never close! This page is also a one-stop shop for gifts for everyone on your list. My daughter started me on Overstock.com. She bought multiple pieces of furniture and even a new vanity for her house. And she didn’t pay a penny in shipping. Sounded good to me! Worldstock is a Fairtrade marketplace where you can explore the beautiful products and skilled craftwork of artisans from around the world. You can find furniture, jewelry and unique home decorating products and gifts like this beautiful desk handmade in India. Who doesn’t love ETSY? Etsy is the site that rewards creativity. Make DIY magic with unique craft supplies. Browse decor inspiration for a home refresh. 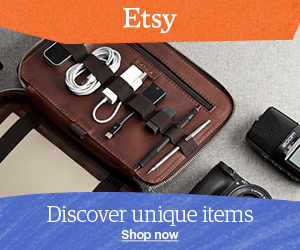 Etsy gives independent, creative businesses around the world the tools to be successful. Riverbend Home is dedicated to helping you get the products you need and want to make your house a home. Online retailer for bathroom and kitchen fixtures and accessories, plumbing supplies, tools, lighting, heating and cooling products, hardware, outdoor products, home furnishings, decorative accents, and other household items. “Big Ideas for Small Kitchens” which is right up my alley! Target has evolved into a top shopping spot both instore and online. Their prices are great and customer service is excellent. These Mercury Crackle Glass Lamps, for example. 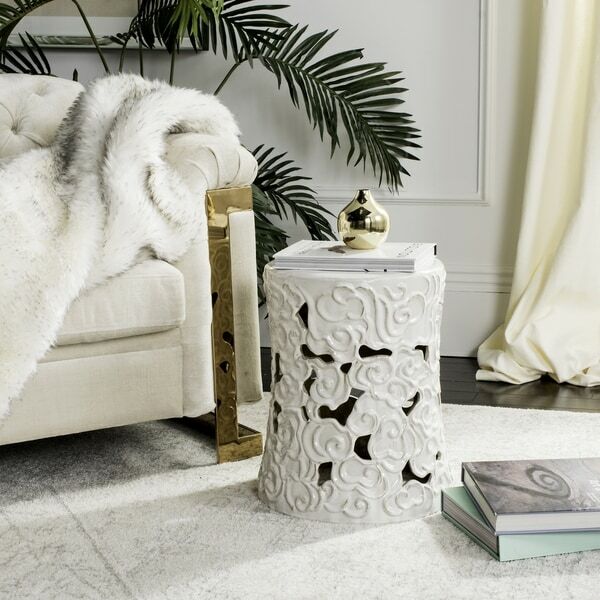 A high-end pair of lamps at a down-to-earth price. I purchased two Threshold Carson 5-Shelf Bookcases not long ago. I saw them in the store but didn’t want to haul them home so I ordered them online! A few days later they were delivered right to my door! With Amazon Prime, you won’t pay any shipping charges and you can find just about anything you might want or need for your home! Can’t beat that, can you? I purchase all sorts of things through Amazon. Usually, there’s a special deal going and it often includes free shipping even if you don’t have Amazon Prime. Of course, with Amazon Prime ALL shipping is free. Society6 has huge offerings in all sorts of categories from Wall Art and Home Decor to Tech products like cell phone cases. and even Your Monthly Horoscope! You’ll find other useful sites here and there on this Small Space Decor Ideas. I’ll add to this page from time to time, as well. Thanks for stopping by. I’d love to have your thoughts on this page. Let me know in the comments if you have other favorite online shopping sites. I’d love to check them out. Your site is beautiful and so well put together. I can tell you are a lady with lots of style. Thanks, jak! I really appreciate your feedback. (And if my updates encourage you to spend more money through my links, all the better!! Just joking!) But, my ultimate goal is to help solve design dilemmas especially in small spaces! Hi, Will, and thanks for coming by! You’re absolutely right…online shopping is no more expensive and often less expensive than brick and mortar locations. I will often visit the actual retailer and then order online. With the free shipping and not having to haul a large item home, I’m saving time AND money!